IBM buys Red Hat. Google changes the leadership of its cloud business. Software-defined WAN (SD-WAN) explodes as the centerpiece of network service transformation. Are we just in a period of chaos here, or is there something underneath all of this that’s quietly pulling the strings? I think there is, and the “something” is hybrid cloud. The notion that all IT was going to shift to the cloud was always a dumb one (and it’s even dumber today), but what we’re now realizing is that the cloud is going to play a major role in applications for nearly every enterprise. The role isn’t displacement, but augmentation. The cloud will become the front-end to our most important business applications, not only Web commerce but also worker productivity support, supply chain, and more. If the Internet of Things becomes widespread, the cloud will surely play a big part. This new model of cloud adoption poses two questions. First, how do you architect a cloud front-end application? Software design has for half a century been driven by the notion of static resources. The cloud creates a virtual computer as big as the planet, potentially, with unlimited flexibility and capacity looking in from the outside, and exploding complexity within. We need to harness that flexibility and capacity while limiting the complexity, and do so based on some firm rules and standardized tools -- just like we had in the old days of the “pure data center. The second problem is how the cloud and the data center of the future play together in the hybrid cloud model. If the cloud is the front-end element, the data center is the back end. We end up with something designed to provide the ultimate in flexibility, feeding something that’s likely only a small evolutionary step from those old-time monolithic data centers. We need tools for that, too. To answer both these questions, the most obvious move is to have a stake in both worlds. A cloud provider or IT vendor can’t support hybrid cloud without supporting both cloud and data center, because it has no framework for presenting its solution to buyers. That’s shaped the marketing and sales transformation of both groups. Google needs new cloud leadership because it doesn’t have data center positioning. Microsoft has been the most successful provider of cloud services to enterprises because it has strong cloud and data center positions. More than any other company, it has been focused on hybrid cloud from the first. Amazon has quickly moved to close the gap, but Google seems mired in the notion that the cloud is the computer of the future, not just a front-end piece of it. Enter new blood, from a company that’s been a giant in enterprise software. No surprise there. IBM, you’d think, would be ideally placed for this hybrid future, but it gave up most of its data center incumbency when it sold off most of its computer business. IBM lost the traction that providing a complete server-farm solution would have given it, and with that the ability to hybridize. Red Hat gives IBM an open-source on-ramp to server farms and software tools that work both in the cloud and the data center. If there’s a way for IBM to get out of its seemingly endless string of revenue declines in earnings calls, Red Hat is it. The SD-WAN stuff is the network piece of the hybrid transformation. Think of a hybrid cloud as two independent hosting and connectivity environments that somehow have to appear as one. When you decide to scale an application component, do you want to have to specialize the whole network piece of the process depending on whether it’s hosted in the data center, a cloud provider, or perhaps even several different providers? You need to have a single universal network framework for connectivity. It’s not just for the component connection, either. 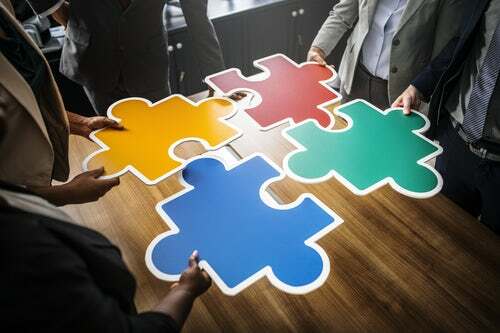 When you have a scalable component or you replace something that failed, those new pieces need to be connected to the users the application is supposed to be serving or you’re just engaging in an interesting IT exercise. The universal connectivity framework has to be truly universal, enveloping users as well as resources. SD-WAN connects two previously poorly connected things -- cloud components and business sites without cost-effective access to the corporate VPN. It’s a step toward something everyone thinks is the most critical network development for the future, “network as a service,” or NaaS. All cloud providers are heading for the hybrid cloud. All IT providers, both hardware and software, are searching for the critical pieces of middleware needed to create a unified hybrid application model. On the network side, despite near-universal interest, we’re still floundering on the NaaS piece of the puzzle. SD-WAN takes a critical step, but only a handful (two, according to my count) actually have the features needed to go from simple SD-WAN to NaaS. Who really gets this new IT model? We’ll probably find that out when we see a cloud provider or an IT giant buy or build a NaaS-compliant SD-WAN and integrate it with its cloud networking or data center network. Whichever company does that understands the seemingly disconnected market moves we’re now seeing, and it’ll make a big splash when it releases its solution.